This unique Jewellery is a must have in your wardrobe ! 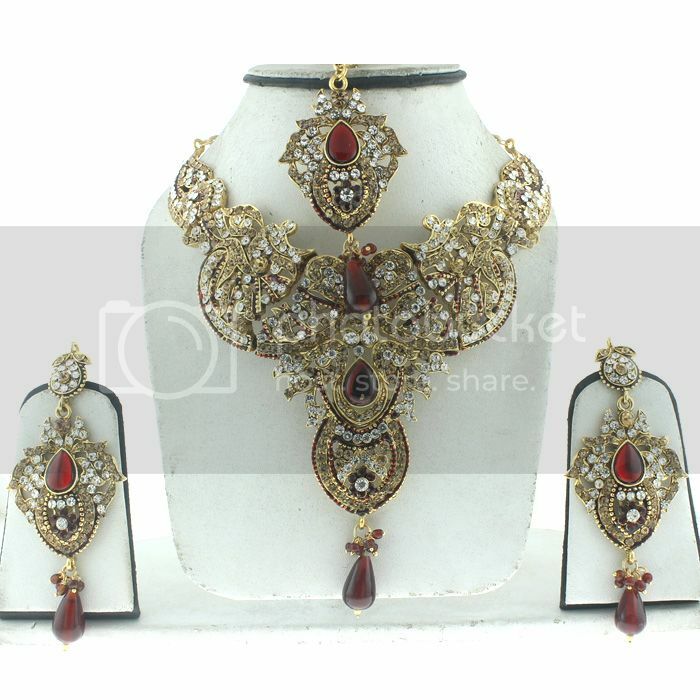 Beautiful Designer Necklace set with matching dangle earrings studded with LCT CZs,Maroon Kundan and Simulated dangling beads. 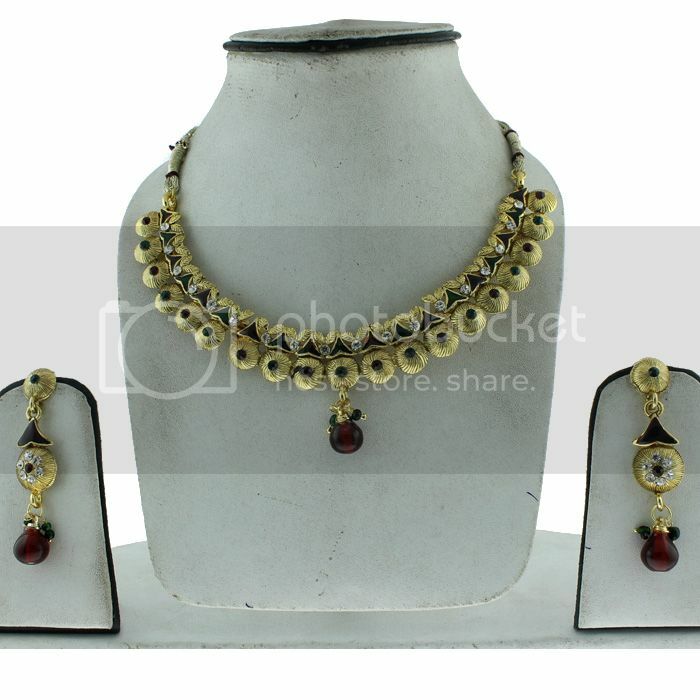 Traditional style in Gold Tone, handcrafted with high quality CZs and beads. The particular piece is very stunning and Very beautiful and will go along with all the formal and informal dresses!!! 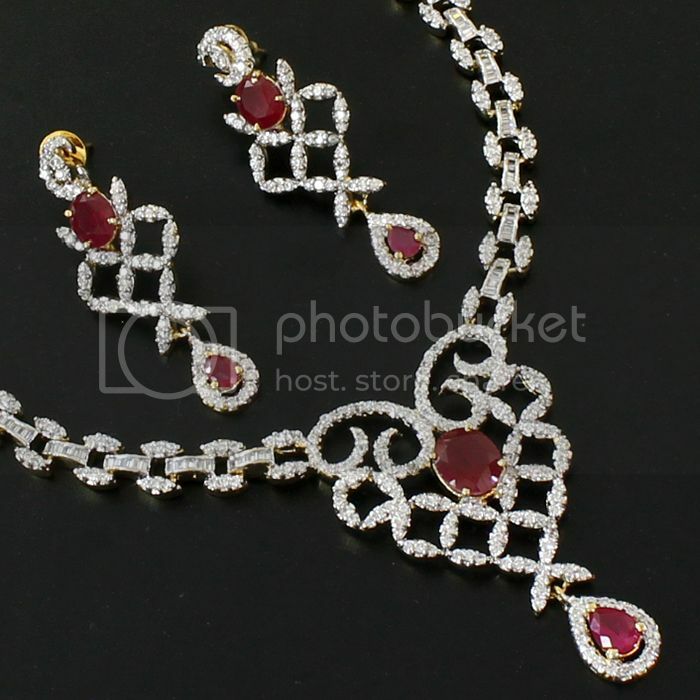 Very Beautiful necklace in Gold Tone, handcrafted with high quality Simulated CZs and Simulated Ruby, Emerald dangling beads. 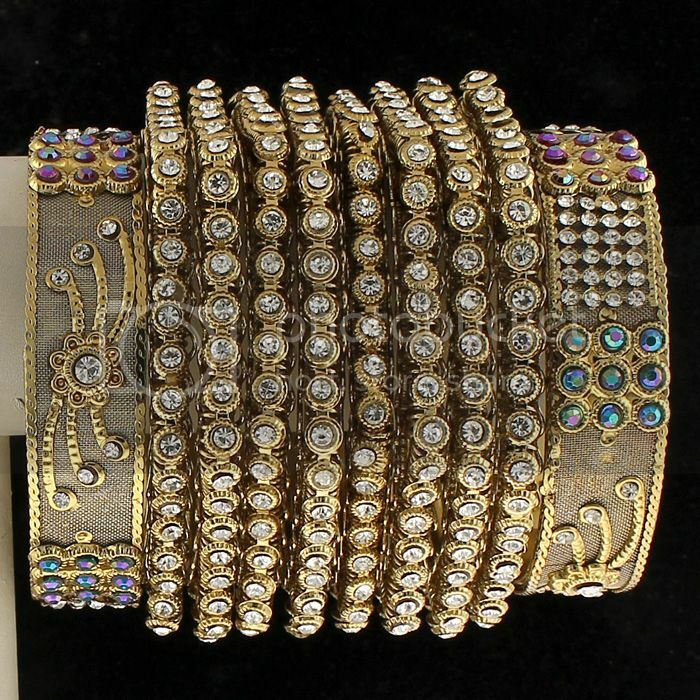 Very Beautiful and Nice Designer Gold Tone, Traditional Style Bangle bracelet studded with Simulated Diamond Rhinestone in Indian style design. Bangle Size : 2.8 or 2.5" diameter, Unique piece that you can wear with anything. Does not tarnish, the bangles are truly unique, the perfect accent for a glamour girl. which has so much sparkle that you would feel like a princess.